Tuxedo Junction: unique live band for weddings, events in MA, NH, RI, ME, CT, VT.
Michelle Auguste's soulful style and timbre seemlessly adapts to songs from Gladys Knight to Alicia Keys and Gretchen Wilson. 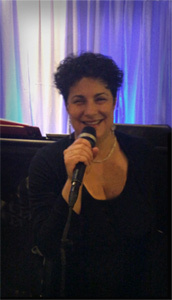 Her experience of singing with choral groups is evident in the band's smooth vocal blend. 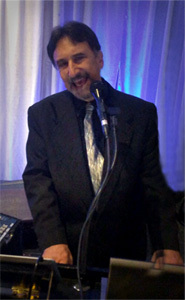 Larry Milton, keyboardist / vocalist and bandleader, has been a full-time musician his entire adult life. He has created music for many regional TV and radio ads, worked with members of the bands Boston and the Fools and toured with acts opening for Cyndi Lauper, the Pretenders and the J. Geils Band. His singing spans a gamut from Michael Buble to Tim McGraw to Peter Wolf. Jimmy Vita, saxophonist and vocalist, has been integrally involved for years with successful bands that include Mirror Image and Shelter. A talented arranger with a strong background in music, Jimmy creates all of the band's horn arrangements. 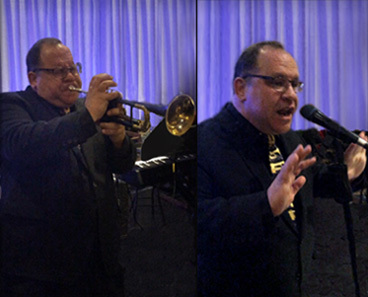 His singing covers styles from Van Morrison to Tony Bennett to Louis Prima. 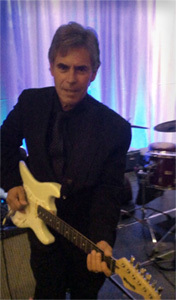 Norm Brunelle is a talented guitarist / vocalist, and a full-time musician and guitar teacher for most of his life. He's worked with respected musicians Sonny Stitt and Phil Porter, and played with popular New England bands that include Boss and Quartet. Norm is also a composer and reverbnation recording artist. Doug Nally is a seasoned professional drummer who has worked with artists that include Phyllis Hyman and Stanley Turrentine. He's performed at the Newport and Montreux Jazz Festivals and at Carnegie Hall. 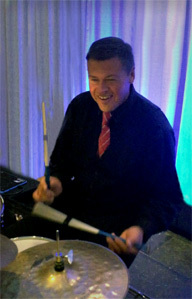 Doug is a consummate master of the drums and is affectionately known as the "Rhythm King". 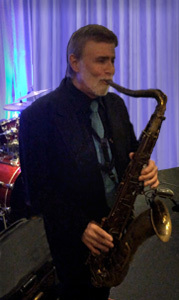 John Moriconi (Johnny Bluehorn), has been performing for many years as a trumpet player, vocalist and front man. He's played with bands that include Mission of Blues and the Chicken Slacks. John's singing covers styles ranging from Ray Charles to Bruce Springsteen to James Brown. He was nominated for "Outstanding Male Singer" in the 2007 Blues Audience Reader's Poll and "Outstanding Horn Player" in the 2010 Poll. Look over our song list ... Listen to the band online. Read some reviews from happy customers. Q&A: What to look for in hiring a live band.